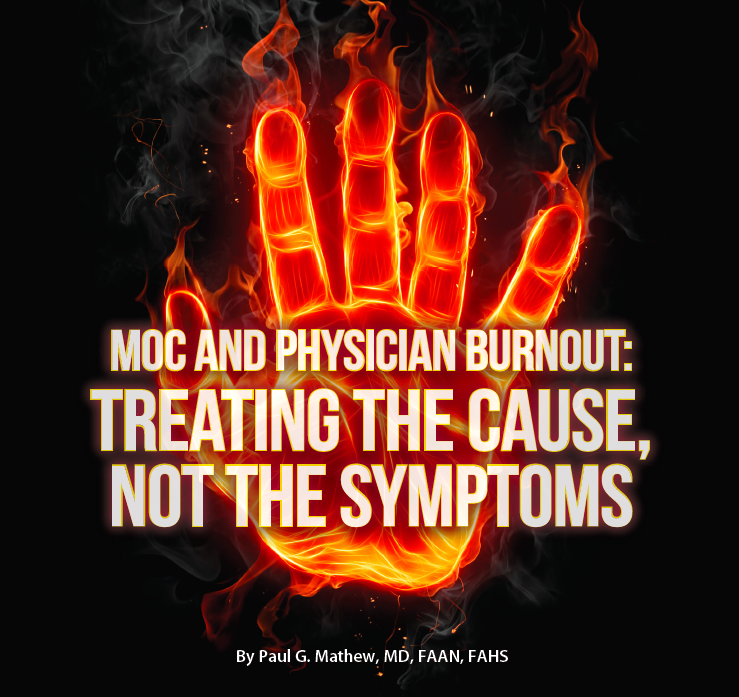 "We do not feel that this format appropriately presents the variety of viewpoints about MOC." 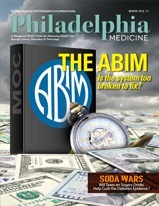 The magazine attempted to invite Richard Baron, MD to give the ABIM's side of the story but he declined. This speaks volumes. In June 2016, "Chicago" had a problem. A small renegade group of doctors had uncovered some dirty secrets about the Chicago-based American Medical Association's (AMA) subordinate organizations, the Philadelphia-based American Board of Internal Medicine (ABIM) and its Chicago-based mothership, the American Board of Medical Specialties (ABMS). Action was needed. It would have to be invisible to the lay public. It would take a slick, well-coordinated game plan. It would also take some money. People don't mess with The Chicago Machine. The major players assembled in the room to get some background on the problem. They'd have to understand the depth and breadth of what was known before they could structure a counter-offensive using every option at their disposal: ties to leadership at medical journals, public relations groups, finely-tuned email lists, and buy-in from like-minded medical societies who needed the AMA's political clout on Capital Hill - the works. There they were, all the major players in one room, looking less than happy to be there to hear me (of all people) and my colleagues who were rattled to our core at what had transpired in the bureaucratic House of Medicine for all these years. The room took a while to fill at first, but as time for the presentations approached, they were standing room only. The early attendees looked a bit worried. Those arriving later appeared less concerned for time and money were on their side. Many of the dignitaries were introduced to me by Charles Cutler, MD, from the Pennsylvania Medical Society who had invited a few of us to attend: the President of the Board of the American Medical Association (AMA), the Executive Vice President of the American College of Physicians (ACP), members of some of the medical national medical societies. All in one room to hear me and Mr. Charles Kroll, a certified public account, give our little talks (seen here and here). They listened intently. They asked no questions. They needed to think. Poor Lois Margaret Nora, MD tried to come to the microphone to defend her actions feebly. It was clear to them she was a liability. More senior veterans at this game would have to step in. It was a time to marshall the considerable resources of Chicago's medical establishment's senior spin experts: the American Medical Association and their collaborators at the Accreditation Council of Graduate Medical Education. They knew they could do this. After all, it had been done before when Thomas Brem, MD testified before Congress 30 April 1969 after he was paid from "Special Account No. 4" maintained by tobacco lobbyists. (See US District Court for the District of Columbia, United States of America v. Phillip Morris USA, Inc, et al., Case 1:99-cv-02496-GK Filed 8/17/06. Page 174 of 1683. Available at: https://www.gpo.gov/fdsys/pkg/USCOURTS-dcd-1_99-cv-02496/pdf/USCOURTS-dcd-1_99-cv-02496-4.pdf ) We are beginning to see telltale signs of a similar well-coordinated plan to forward a separate, non-patient care agenda against the practicing physicians who had grown restless. Second, a "go live" date had to be set. 1 December 2016, just before the new US President took office, would be perfect. Third, an article would have to appear in the New England Journal of Medicine without an accompanying rebuttal article reaffirming the importance of MOC and how hard the ABIM are working to modify it. This article would serve as the "starting gun" for all that was to occur next. In turn, Richard Baron, MD would serve, once again, as sacrificial lamb and receive a "special fee" above and beyond $800,000-a-year ABIM salary in return for "publishing" the article (see the article's disclosures). Perhaps this was because Dr. Baron and Braddock didn't write a substantial part of the it, we can't be sure. Practicing physicians would be appalled by the piece containing many non-scientific assertions. It didn't matter. They liked the use of the example where anyone can become an ordained minister online to justify ABIM's unproven maintenance of certification program as a "solid," and "valuable" standard. No one would dare comment that the ABIM's secret, black-box antiquated questions (held secret behind a thin veil of threats of prosecution for leaking those "secrets") were any more "solid" or "valuable" than those "internet based" ministry credentials. Especially if the New England Journal of Medicine didn't allow comments. Furthermore, Baron and Braddock's must make board certification sound as though it was "always" supposed to be time-limited. No one must know that Walter Bierring, MD, the unpaid organizer and first officer of the ABIM never intended the test to become a mark of adequacy to practice medicine rather than an optional sign of excellence. (See: Bierring WL. The American Board of Internal Medicine. Ann Intern Med 1937 10(12):1746-1751.) Denis M. O’Day, MD and Mary R. Ladden, BA's peer-reviewed article on the history of board certification, published the criteria of the American Board of Medical Specialties member boards that stated their voluntary nature and the requirement their tests and programs NOT be tied to the ability of a physician to practice. And practicing physicians certainly should not know about the first recertification test, taken by internists on 26 October 1974, recommended that "no one should lose their primary certification as a result of the examination. "(Meskaukas JA and Webster JD, The American Board of Internal Medicine Recertification Examination: Process and Results. Ann Intern Med 1975 82: 577-581). To provide cover to these facts, Drs. Baron and Braddock must use ABIM's usual strongman tactics and threaten "escalating consequences for unsatisfactory performance over time" in their piece. And so it was. Fourth, that evening after the New England Journal of Medicine article appears and people have a chance to digest it, a mass email must be sent to all members of the American College of Physicians announcing their "new pilot MOC program" in coordination with the American College of Cardiology (ACC) and the ABIM that promised to "ease the burden and increase the relevance" of the ABIM MOC process. Specific details like time frame, cost, and methods must not be disclosed, however. Fifth, more pressure must be applied. 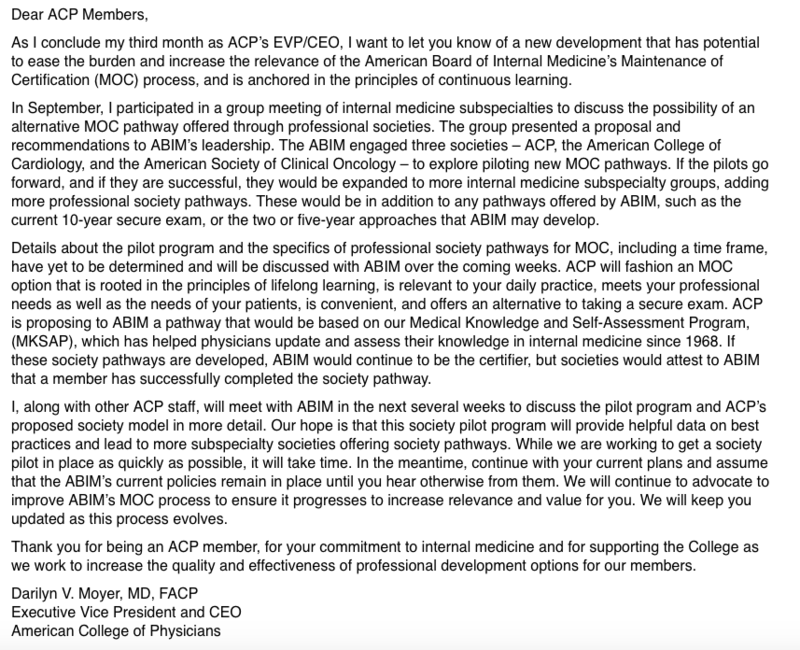 The AMA and the Committee of Medical Subspecialty Societies (based in Chicago) will coordinate with the American College of Cardiology to use the ACC's considerable financial and political clout to re-introduce the previously-suspended Part IV "Practice Improvement and Safety Modules" via an email to its members the following day. After all, it took a lot of lobbying to assure Part IV of the ABIM MOC program was woven into the new physician "value-based" payment scheme called the Medicare Access and CHIP Reauthorization Act of 2015 (MACRA). For their help, the ACC should be granted "Program Sponsor" status of the ABMS Multi-Specialty Portfolio Approval Program. The message to lowly physicians MUST be: "Participate in MOC or don't get paid, sucker!" It all seemed like such a good idea at the time. Those pitiful physicians wouldn't stand a chance. The Chicago Machine was in charge. It would be easy to roll over those quiet, unassuming doctors with this plan once and for all! And then the unimaginable happened. An unanticipated Presidential candidate won the election. Like BREXIT, the medical political establishment were caught completely off guard. None of them could imagine it happening. And even though larger and larger numbers of doctors weren't buying the propaganda of the Affordable Care Act (ACA) and MOC any longer, the AMA, heavily invested in the ACA construct, stuck to their plan to strong-arm physicians with these MOC "modifications" anyway. Practicing doctors and their patients have been waking up to what the medical establishment have done to the middle class and the practice of medicine in America. We've been slow to catch on thanks to the realities and time required for this thing called patient care, but the reality is profound. Thanks to Maintenance of Certification, practicing doctors are not so easily fooled any longer and with a new sheriff in town, the Machine might just have to go to an alternate Plan B in January 2017 or face some serious consequences. This week, Richard Baron, MD and Clarence H. Braddock, III, MD, MPH, both paid staff of the independent and unaccountable American Board of Internal Medicine (ABIM), received more (free?) advertising space in the New England Journal of Medicine to publish their perspective piece entitled "Knowing What We Don't Know - Improving Maintenance of Certification." While my readers are welcome to read the piece, rest assured there is nothing new there except more unsubstantiated excuses to prop up this expensive, wasteful, and corrupt enterprise. I believe these authors should be very clear that physicians are quite aware of "Knowing What They Don't Know" about Maintenance of Certification (MOC), the ABIM, their collaborators at the American Board of Medical Specialties. The New England Journal of Medicine itself, who stands to profit from their Knowledge+ educational product for MOC preparation. The ACGME and its many members like the ABMS member boards, the AMA, the American Hospital Association (AHA), and Association of American Medical Colleges (AAMC) who stand to profit directly from the program and or by the anticompetitive practices it creates. The major players in the US medical insurance industry (Blue Cross Blue Shield, Unitedhealthcare, Aetna, Cigna, etc.) who want to reduce their costs for expensive experienced physicians in lieu of physicians extenders, using the "National Committee on Quality Assurance" as their scapegoat? Or perhaps, it's all of the above? 2) Why did the ABIM feel it could funnel $55 million of diplomate testing fees from 1989 to 1999 to fund its secretly-created (and undisclosed until 1999) ABIM Foundation? 3) Why has the IRS not investigated the repeated ABIM Foundation Form 990 tax fraud regarding the date and state of its Foundation's origin and the non-disclosed lobbying activities? 4) Why has the ABIM Foundation moved over $6.5 million of diplomate test fees offshore to the Cayman Islands in 2014? 5) Why were lawyers from ABIM's legal team, Ballard Spahr, and Ariel Benjamin Mannes (their two-time convicted felonious "Director of Investigations") allowed to accompany Federal Marshals during a home raid of two physicians homes that had developed an ACGME-accredited board review course? What agreement (monetary or otherwise) exists between the Dr. Rajender Arora (the director of the course) and the ABIM? 6) Why has the antitrust case filed by the Association of American Physicians and Surgeons against the ABIM, originally filed in New Jersey and then moved to the United States District Court for the Northern District of Illinois (Docket No. 1:14-CV-2705) on 4/23/2013, languished unaddressed in the Northern Illinois court docket since 7 Jan 2015? These are just a few of the things practicing US physicians "Know What We Don't Know." Rest assured, we won't rest until we find out and bring the corrupt MOC program to an end.